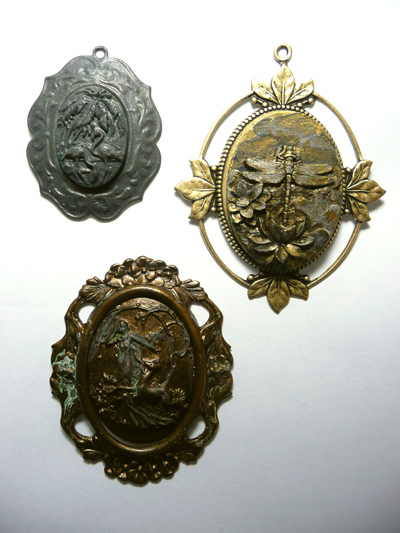 Once dry ,using acrylic paint (but gilders paste would work fine too) I highlighted some of the details. 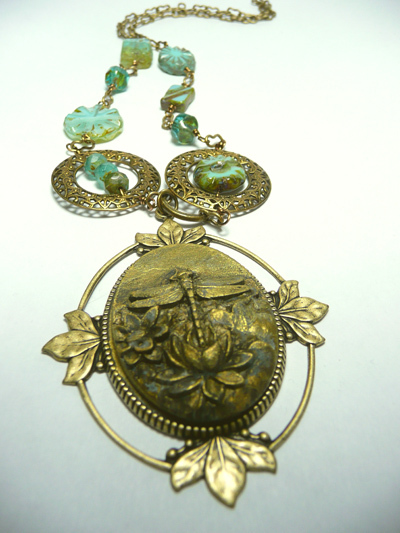 The dragonfly necklace was simply constructed using elements as connectors and with wrapped loop beaded sections. 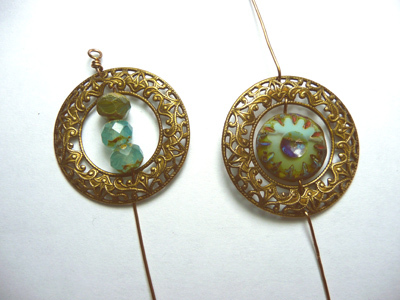 The circlet features were made by looping wire through the filigree and threading beads onto the centre. 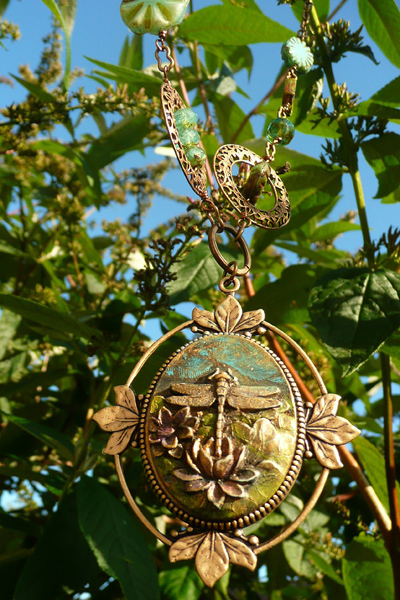 I loved the art nouveau style to the dragonfly with lilies and chose a colour scheme in keeping , with greens and blues. I made some beaded wrapped loop sections using wire , to use as connectors. 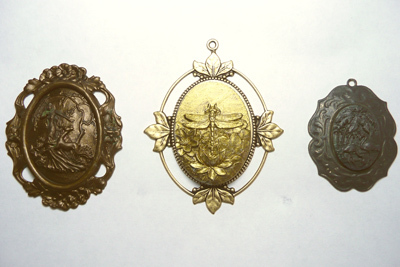 After attaching it together I decided that although I liked the plain brass ox finish on the cameo it needed a little vavaVOOM. 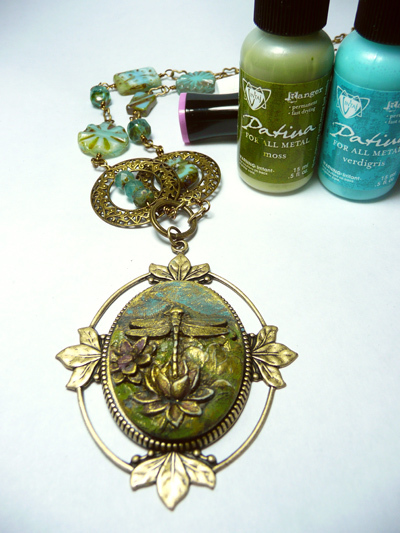 Using Vintaj patinas and a spectrum noir pen added some colour! 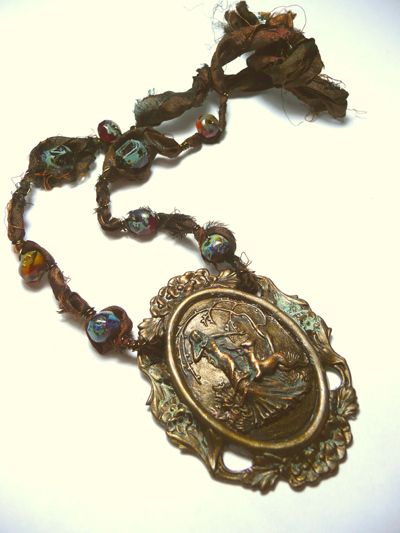 The rusty black flamingo cameo necklace was quick and easy to put together, the cameo was glued into the setting. 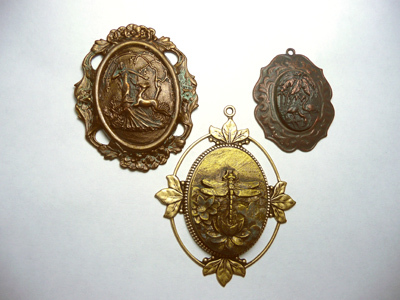 Then simply used a bail art nouveau foldover , which was wired onto the hanging loop of the setting and glued on the reverse. 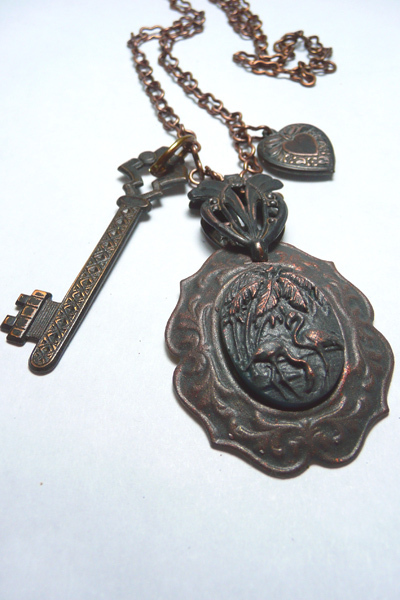 A heavy Victorian key and black heart attached to the chain and you are done ! 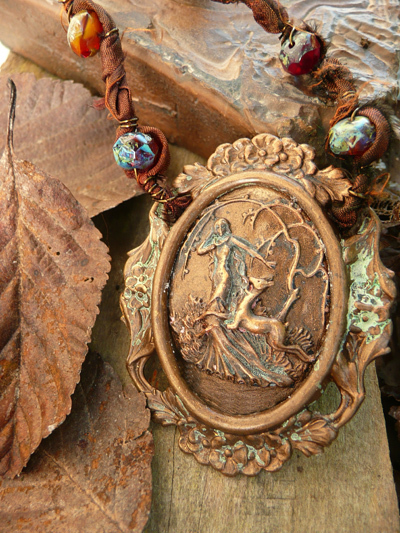 Pink Maiden in a meadow with a deer cameo was glued into the open floral setting and then painted a couple of light coats with Swellegant in bronze ( I LOVE that colour even on its own).It toned perfectly with the choc ox setting. 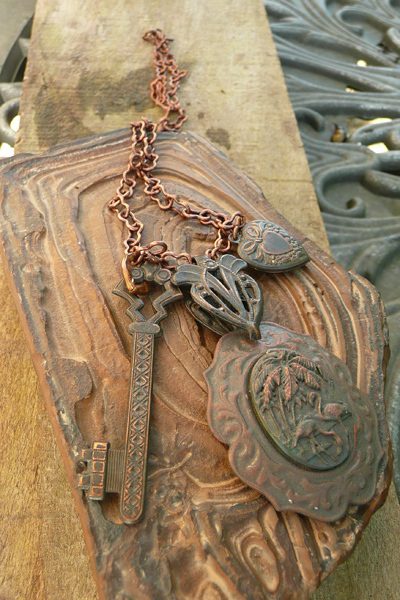 I added a light coat to the setting also and applied tiffany green/rust patina. 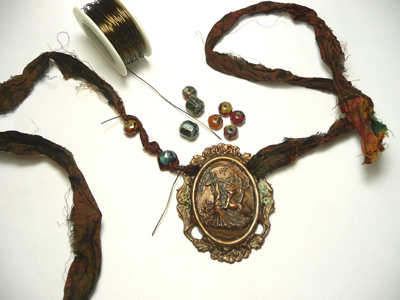 For the stringing some beautiful bronze coloured sari ribbon was wire wrapped with co ordinating beads added as I went along. You could add a fastener or simply tie on. 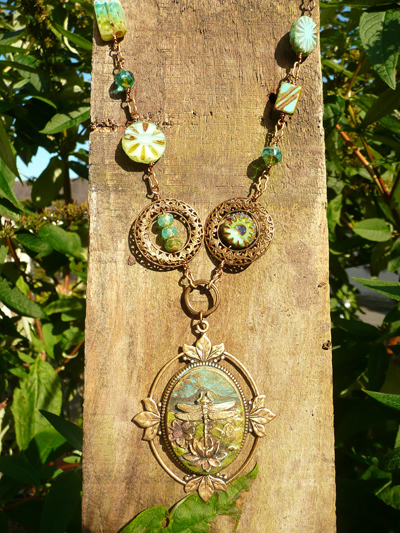 Linzi Alford IS the Magpie in MagPie In The Sky Designer Jewellery in the UK. 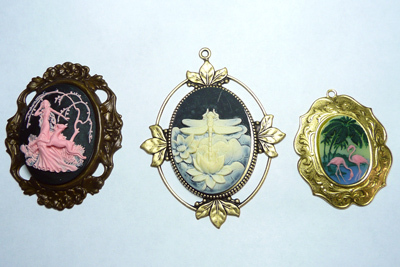 A penchant for glittery pretty things has led her to become a jewellery maker. Lucky enough to live in a beautiful part of England -the Lake District and is Mum to 3 (and Mimi the cat!) 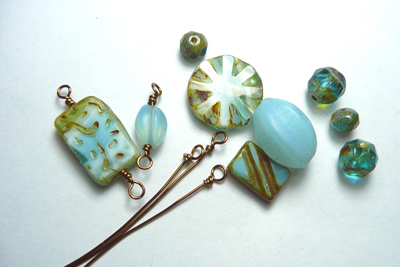 She trained in Silversmithing at Evening classes a few years ago and is a regular attendee at the local Artisan Collective Roaming Gallery . 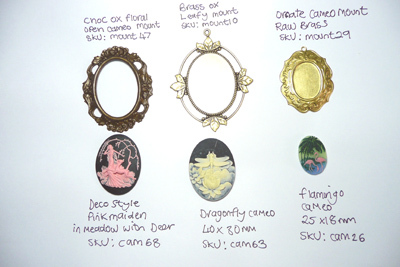 Photography is also a passion and she likes to incorporate her love of this with her jewellery collections using her photos as part of the creations.